James Owen Graham was born in Cape May Court House, N.J. on September 4, 1956 to Stedman Worth and Mary Jacobs Graham. 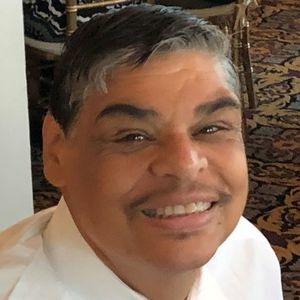 Affectionately known as Jimmy, he passed away peacefully in the early morning of March 24, 2019 at Cape Regional Medical Center. Jimmy was a devoted member and served as a Junior Trustee at St. Stephens A.M.E Church in Whitesboro, N.J. He tirelessly worked at Jersey Cape Diagnostic Center for 44 years and took great pride in his work. During his 44 years, he was recognized in several newspapers and was featured twice on the local news. He received several "Employee of the Year" Awards. As of this year, future recipients will receive in his honor the "James Graham Employee of the Year Award." Jimmy is predeceased by his parents Stedman Worth and Mary Jacobs Graham; his brothers, Irvin Graham and Darius Graham; and his sister, Nakoma Graham Crawford. He is survived by his brothers, Stedman Graham and Julius Irvin Graham and his sister, Anita Graham Shelton. 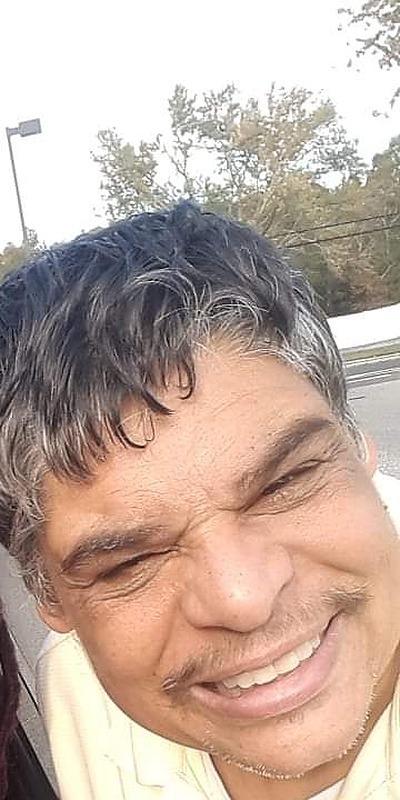 His nephews and nieces include: Steven Graham, Jacob Shelton, Lois J. Bennet, Mary Kathy Graham, Wendy Graham Greene, Courtney Shelton, and Dontera Graham Scaggs. The Funeral Services will be held at Christ Gospel Love Center. 2209 Route 9 South, Whitesboro, N.J. 08252 on Saturday, March 30, 2019 at 4:00 pm. There will be a viewing held from 3:00 – 4:00 pm. The Repast will be held immediately following the Funeral Services at Christ Gospel Love Center. The interment will be held at St. James Cemetery in Lake Waccamaw, N.C. on Sunday, March 31, 2019 at 4:00 pm. In lieu of flowers, memorial donations may be made to Concerned Citizens of Whitesboro, P.O. Box 412, Whitesboro, N.J. 08252 and Caring for Kids, 31 East Mechanic Street, Cape May Court House, N.J. 08210. Mr.Stedman Graham,I am so sorry for your loss of your brother. Many prayers for you and the family.Debra Payad & Boys. I am sorry to hear about Jimmy..He was nice. "Jimmy Graham ", "Jimmy Graham ", "Jimmy Graham". Forever more Heaven's choir shall sing your name. You did good James Graham ; you did good. Your memory shall be one of our life's great joys. Love and Peace for your Families and Friends. Remembering Jimmy's warm and gentle soul will always remain in our hearts. May he rest in peace. I will surely miss that beautiful smile of Jimmy's and his morning conversations with me as he walked his little dog to our park. He always was pleasant and cheerful and very concerned about my car being safe for me to drive. He used to stop at my fence and chat whenever he rode his bike into Rio Grande, and always had something pleasant to say to me. He and his little dog will be sorely missed in our neighborhood, come rain or shine, wind or snow, they were always walking. Blessings to the Graham family in their time of sorrow. Jimmy was a great guy! Jimmy was a good man remember him from Home Depot wanting to buy parts for his lawn mower. He will be missed Rest In Peace young man. Although I've only met Jimmy a few times during gatherings with my husband, Carl Matthews, Jimmy had a confidence about him that he could conquer the world. He was very proud of work, and he had that killer smile. I know that he continues those trades in heaven and will be deeply missed by all who knew him.